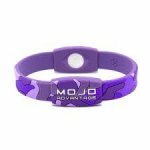 Mojo horse and animal patches use the same holographic technology present in Mojo wristbands. You can quickly and easily attach Mojo horse patches to your horse's cheek piece, head piece or any other part of the tack. You can also attach Mojo animal patches to your pet's collar or walking harness. You can buy your Mojo horse and animal patches online today. Simply choose the Mojo patches you would like and pay using our secure checkout. There's FREE delivery offered on all UK orders.